The report is been made and structured on the business plan of the SWIC Club in Sydney. The following report is the assessment of steps taken by the management team to improve and sustain the quality of the club. At the end of the report, the conclusion and the recommendations will be drawn and highlight on the basis of the analysis of the Quality maintenance plan. The SWIC club is a four storied building which is a luxurious property in Sydney, Australia. The club is known for the exceptionally good personal service at the affordable prices. However due to the recession the service bookings and the events have decreased immensely. Therefore to overcome the effect of the recession and also the competition, club’s marketing department has come up with the Quality maintenance plan. This report is made to analyse the Quality maintenance plan of the club and also the successfulness of the plan. The analysis is made on Business product, kind of Industry the Club is facing and its strength and weaknesses. Also the review of the project is also made keeping in mind the implementation and the post completion of the project. a)Economic Imperatives: The club has to keep a suitable and affordable fee for its consumers. The kind of market that club faces is oligopolistic and in such a case the price decisions of the other clubs will affect the price decision of the club as well. Club has to be very active on marketing and advertising about its improved quality and services. There are many ways to do it. Such actions will be discussed in the later sections. b) Social Imperatives: In this case the club has to take steps where it staffs only those people who can handle different types of club members and guests efficiently. Club has to be really careful about its staffing policies as the club members expect a very elite standard of quality maintenance. Direct marketing is used to give information on the product and services of the club. Primary focus is on marketing about quality through mass communication that is print media and Internet. Listing of Club’s name on all the major recreational sites. Direct involvement of the quality head in making and leading the quality plan. Very clear vision of Quality positioning of club. How to Achieve these Targets? Enrolling in expedia.com and club.com to yield additional spotlight to the Club. Overall positioning of club as luxurious but affordable. Quality Philosophy: The club is dedicated towards providing eminent services to their guests along with quality of standards maintained at all times. The objective is to make sure that the guests get value for money by high quality standards and maintaining the standards above anything else. 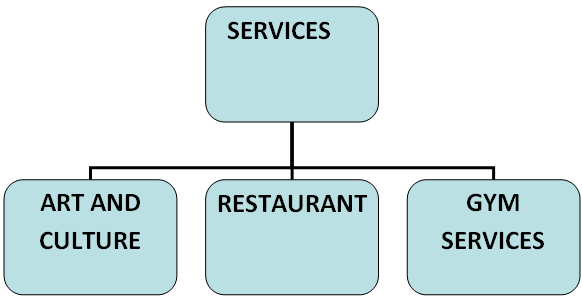 (Garvin D , 2004)The mission of the club is to create value for both the guests by maintaining the brand values and also by creating the hygienic environment and service quality of highest level. 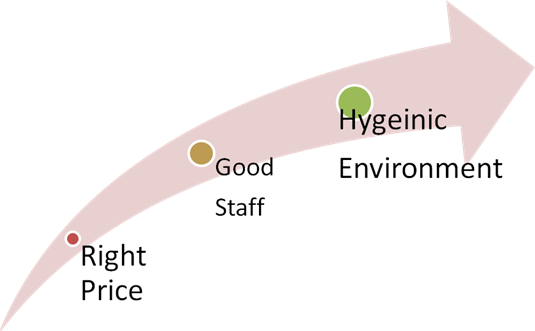 Quality will be depicted in services, communication with members and value for money. Conducting Regular Training sessions of employees to make them familiar with the high quality maintenance target of the club. 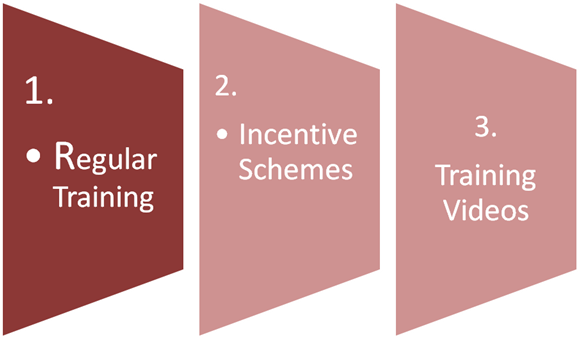 Employees should be given incentives if they are abiding by the quality maintenance process. Quality improvement videos should be shown to employees to help them understand the strategic goal of the club. Staffing policies should be such that it promotes the employment of only efficient employees. It can be ensured through written and verbal tests. Cleaning of all the club area at least 3 times a day. 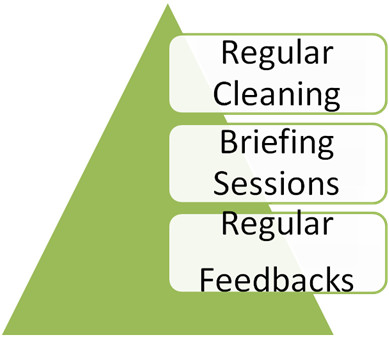 Minimum 2 hours briefing sessions of employees to make them efficient about the day to day quality checks. Taking regular feed backs from guests about the quality of services provided. Maintaining an Efficient Quality team by making them work in a dummy setup once in 7 days. Strict staffing policies to ensure that employees are excellent with their communication skills and provide best services to guests. It is very important to choose right suppliers for various services offered by the club.The selection of the suppliers will be based on the list of services the company will provide and also on the basis of Quality factor. Since, the Quality benchmark is already made for each Quality segment, therefore same Quality targets will be considered for the supplier selection process. (Davidson , 2006) Here, the Head of the Quality team decides to whom the work will be given. Generally it is based on the experience of the supplier, rate quoted by the supplier, list of services offered by the supplier, past history of the supplier and also if he could meet the deadlines given by the club. 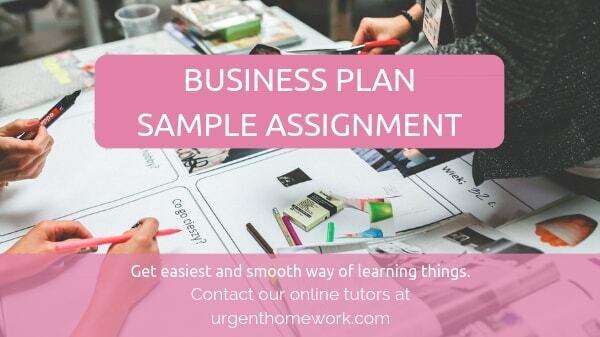 It depends on the previous works done for the clun by the company and also the “referrals” submitted with regards to the ongoing association of the company. (Davidson , 2006). The solicitation will also depend on the vendor’s code of conduct with the club and the agency’s acceptance of the same. The solicitation selection will also check the “awareness” of the supplier in terms of the club’s strong quality demands, process and work conditions. The selection criteria for the suppliers also includes the “enthusiasm” and their dedication towards maintenance of Quality for the services provided . The “evaluation” of the proposal will be done on the basis of offerings, services, financials, competitive offers and alignment of expectations. “Commitment” towards maintaining quality is another criterion, as said earlier, it is imperative for the supplier to meet the Quality. So the supplier with greatest enthusiasm, efficiency, work commitment, potential, cost effective bid should be given the final bid and contract. Supplier Selection process require different companies to submit bids for the project. The budgetary allocation has to be kept in mind while accepting any final bid. Suppliers past records and their quality has to be the major criterions along with the bid to be followed while selection. Banta, T., (1985). Budgetary Allocation should be strictly followed. Club cannot ignore the budgetary allocations at this stage. Best Bid should be chosen. Final bid should be cost effective and quality effective as well. Managers cannot finalize the bid just on the basis of cost effectiveness ignoring the quality delivered by suppliers. The club’s Quality in case of employing efficient staff is deteriorating. It has been criticized not only by the customers but also by the competitors. It is believed that this club discriminates in the job. The club has given decision making powers only to Quality Heads, therefore, leaving the club in a chaos as each club in it is a mini corporation and since the centralization of the company is missing, it is difficult to manage the quality of such a giant company. (Moorman, 2009). 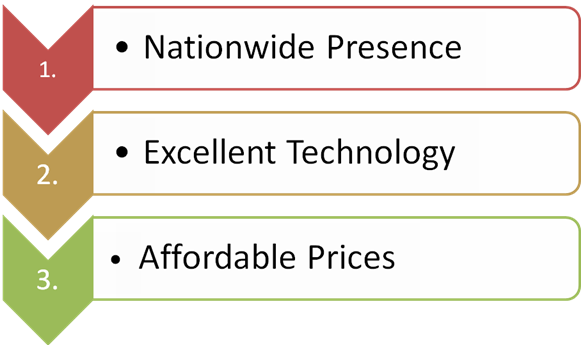 SWIC focuses on different brands and products therefore they are not able to give full concentration on Quality of the services.This act as a loop hole for the competitors for specific products. (Moorman, 2009). SWIC should its own nationwide communication system through which people can book the service of any type all over the nation. It has one of the best intranet systems in the world SWIC has become a national giant, as it is opening clubs nationwide. It is expanding by opening new clubs and also by acquiring the other clubs. The club offer very affordable price for all the items and especially in the discounted season, where the prices get all the more lower than the seasonal prices. This strategy has helped them a lot in gaining the customers(AQU ,2008). Another strength is their people management, they should keep the staff that is motivated at all times, this can happen only when club do not consider their staff has subordinates but treat them as the associates of the company. (AQU ,2008). Department manager should work in the absence of General Manager, that is, when General Manager is off shift. The team management is also responsible for Quality Management .Team members should also be responsible for maintain the quality. They should ensure smooth operations in the club. They should make sure that the customer gets highest quality of products at the efficiently managed time. General Managers should ensure that the customer are served in best possible way and prompt services. The team members are responsible for day to day work, handling customer requests, assisting the customers during their shopping and also the upkeep and cleanliness of the club. The club can operate in two shifts, morning and afternoon shift. The team members and the assistant department managers can do the shifts on the rotational basis. The club manager can do the general shift from 1000 hours to 1900 hours. The working hours may increase in case the club is busy and have lots of customers. Satisfaction of Customers in terms of Quality should be the first and topmost priority of club. This can be made possible only through effective steps taken towards Quality Management. An Efficient Quality Management team is essential to make this possible. 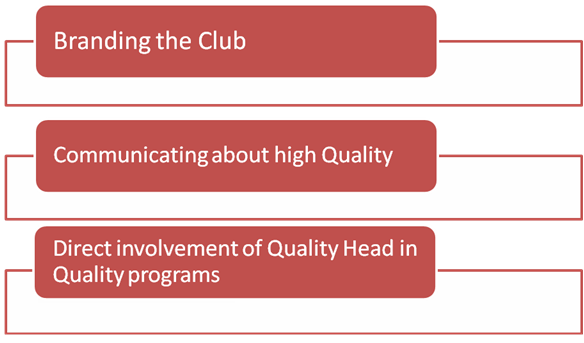 The club should take all the required steps to provide the highest level of Quality to its customers. (AQU ,2008). AQU (2008) Third study on labour market outcomes of university graduates in Catalonia. An initial assessment of the outcomes. Davidson A. T., (2006). The Scottish enhancement-led approach. European Forum for Quality Assurance: Embeddingquality culture in higher education. 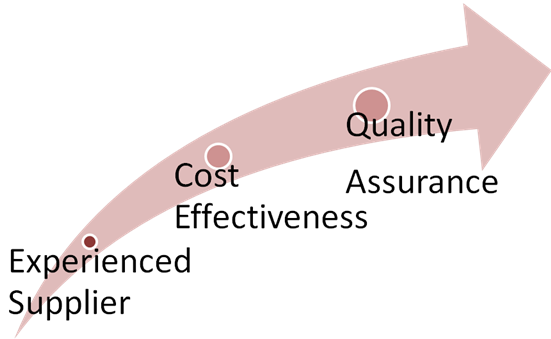 Garvin D., (2004 ).What Does Product Quality Really Mean?’, Sloan Management Review, 26(1), pp. 25-43. Garvin D., 1987, ‘Competing on the Eight Dimensions of Quality’, Harvard Business Review, November-December. Mulgan Richard (2007) ‘Contracting Out and Accountability’, Discussion Paper 51, Graduate Public Policy Program, Australian National University, Abstract. McIvor, R., Humphreys, P., & McAleer, W. (2007). 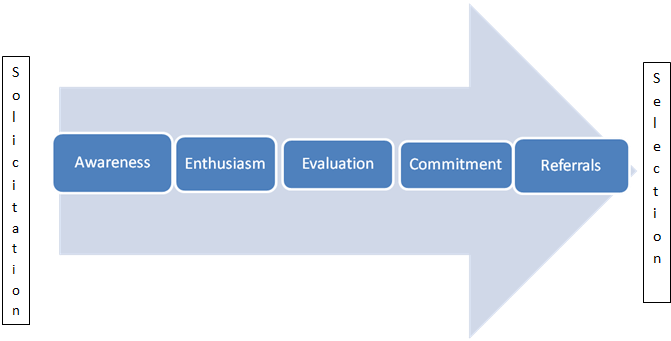 A strategic model for the formulation of an effective make or buy decision. Management Decision , 35 (2), 169-78.